Even though we have been homeschooling for twelve years, this school-year began with some new challenges. Our homeschool cooperative was faced with a level of adversity that it had never before experienced. We have been blessed to be part of this group for a very long time, nearly a decade. In that time, my children and I have met many homeschool families, made friends, and enjoyed fun learning experiences. As with any group of people, there are always differences of opinion and styles of parenting, but it never got in the way of our mission. We were there to work together in order to provide an opportunity for our children that they couldn’t easily get in our own homes. Some moms just don’t like to do messy art projects or dissect animals at home. Other moms are experts in or passionate about subjects that I am not. Some classes just work better in small groups. Co-op provided a place to meet everyone’s needs, until this year. A homeschool co-op is wonderful as long as everyone is committed to working together and showing respect for each other. The group cannot successfully function otherwise. Unfortunately, due to a series of hurtful events, our group found itself torn in pieces this year. As part of the leadership team, I prayed repeatedly for the obstacles facing our group to be taken away. It seemed like the more that I prayed, the more conflict ensued. The situation went from bad to worse to “I can’t believe this is happening!” God provided an answer to my prayers alright. He said “no.” Sadly, our group has dissolved. 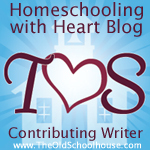 So, how do you pick up the pieces and move on when you are suddenly faced with a serious change to your homeschool? What do you do when your prayers get answered in a way that doesn’t make sense to you? I’m not sure that I have the answer, but I do know that God is in control. He has a plan and it’s my job to trust Him. I need to make sure that my children understand that, too. He directs their lives, as well. Our children look to us for the answers and we need to make sure that we point them to God. Pray together. Let them know that God hears them and has a plan for them. We are all grieving the loss of our group. It has been a part of our homeschool journey for such a long time and we have had the opportunity to get to know some wonderful people. I don’t know if another group is in our future as my kids are now teenagers and our homeschool journey is nearing its end, but I do know that the Lord will show us the path to take. I will take comfort in that.